KENPoint™ offers a wide variety of features encompassing all the in-store requirements, enabling business owners to deliver an excellent business experience to their organization staffs and clients. It offers real-time access to the organization’s Point of Sale (POS) transactions and helps in inventory control, cash management, purchasing and other important POS operations to successfully manage a retail business. It’s easy to use and has the capability to automatically sync customers, products and orders with business owner’s web store by its flexible architecture. 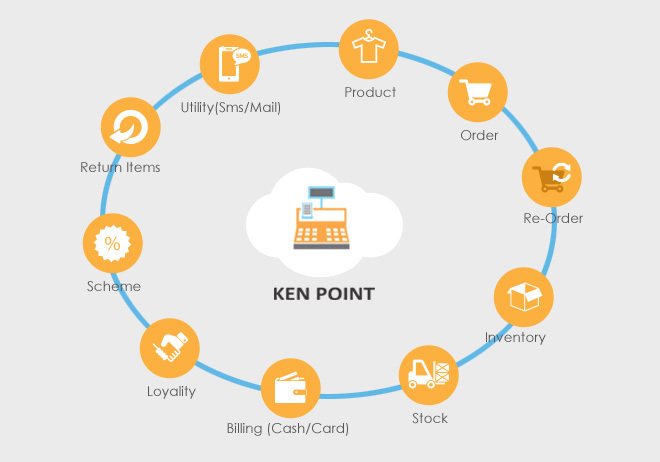 KENPoint™ is a scalable web-deployed Point of Sale solution which has been specifically designed to handle the customer-facing, “front-end” of your business. It has a flexible architecture enabling a high degree of extensibility and interoperability. With 'Always-On' design, you can still deliver real-time operations when and where they matter most, because your store will continue to deliver critical customer facing functionality, and our Cloud base ERP will help you to bill and store your data online, where you will never be out of database . 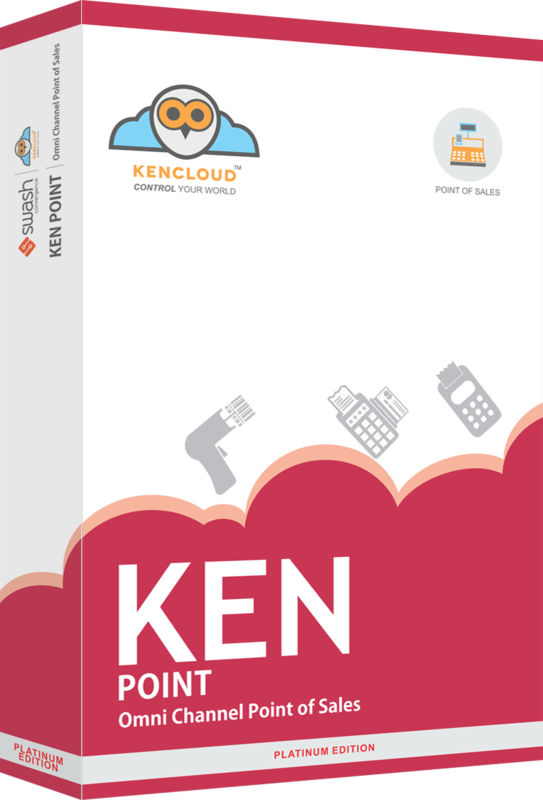 KENPoint™ POS software makes you ease to process customer sales by swiping credit cards and either printing or emailing receipts.You can browse your catalog and pick products using this robust cloud POS system. You just export your entire inventory and client data to a spreadsheet and then send it to us and we will import those assets into your new account for you as a major aspect of setting up your account. It is easy to use, products and orders with your web store and, automatically syncs customers. It has a flexible architecture enabling a high degree of extensibility and interoperability. Sync your online and offline information automatically. Works with your existing credit card reader to accept MasterCard, Visa and Amex cards. The dashboard can be used to sales and track customers both online and in your retail location. KENPoint™ is an advance POS system with easy user interface, excellent security features and seamless business integrations, which helps to produce an undisrupted chain of successful business performances for retail business owners. It improves guest service quality and sales operation efficiency while securing customer’s sensitive cardholder data. With added comprehensive functionality and fully customized management suites, KENPoint™ is the best add-on to the complex retail workplaces where time and customer satisfaction matters most. Faster cash flow with easy payment option. Real-time inventory management which includes viewing products on-hold, on-order, on-demand and in-transit. Easy management of product stocks. Detailed view of past and present business transactions. Comfortable working environment with superior user interface. Quicker service providing with credit card transactions. Built-in error checking for faultless and timely transactions. Brief view of on-going trends. Quicker, accurate and comprehensive reporting options.